Dr. Paul Fotek practices with a mindset that gum health, oral health, and whole-body health are integrally related. All inflammatory conditions of the body have common inflammatory mechanisms of breakdown and repair. All modes of periodontal therapy are a means of reestablishing a healthy oral condition, including retention of teeth and supporting bone, as well as positively influencing healing in other areas of the body by reducing the source of chronic infection. 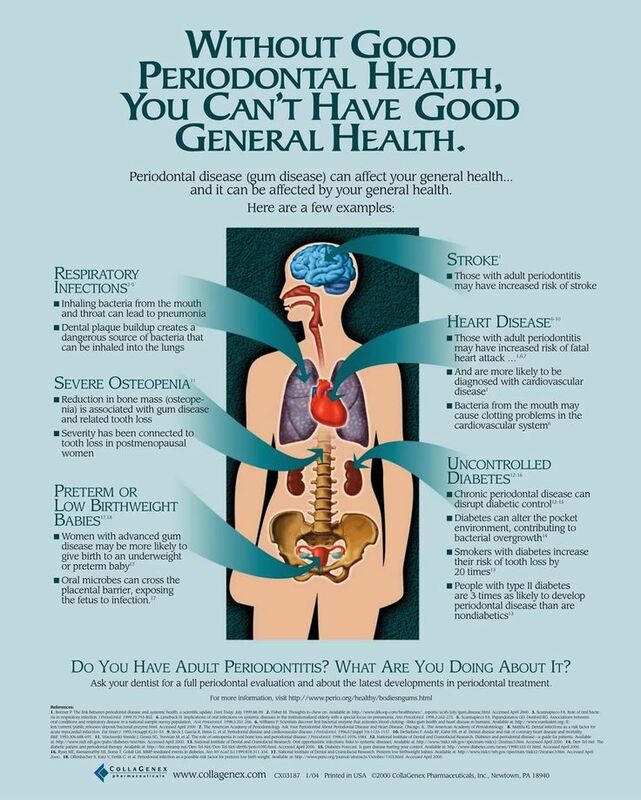 Periodontitis or gum disease is primarily an immune response to the presence of pathologic bacteria, virus, parasites, and fungi growing under the gums. Contemporary periodontal therapy attempts to address this infection by the reduction of microbes and their toxic byproducts which not only circulate within the gums but can reach vital organs such as the kidneys, heart, and brain. By utilizing a holistic approach through a combination of contemporary bacterial elimination, laser gum decontamination along with a holistic approach of ozone antimicrobial therapy, your gum health, and overall health can be properly reestablished and maintained. There are numerous patients that cannot tolerate metal or who refuse to place any metal parts in their body, including metal or titanium implants. Dr. Paul Fotek offers Ceramic dental implants, often referred to as Zirconia implants. Zirconia is a very strong non-metallic biocompatible material that does not corrode over time and is resistant to bacteria. Unlike metal that is grey in color, zirconia resembles tooth color which provides a superior esthetic outcome. Ceramic implants can also be used for bridges, crowns and to retain dentures. Why not use the power of oxygen into promoting, healing and elimination of harmful microbes. Ozone (O3) is a powerful naturally occurring substance that is truly broad-spectrum with no toxicity or side effects. Ozone in therapeutic doses (ozone gas or ozonated water) aids in tissue health regeneration through the elimination of pathogens and periodontal disease. Use your body’s healing potential and get a jump start on healing. PRF uses the growth factors found in your blood, concentrates the substances needed for wound healing while removing the cells that do not take part in healing. The process of obtaining PRF concentrated the fibrin matrix in which platelet cytokines, growth factors, and cells needed for healing and may be released after a certain time directly into the wound. It also can serve as a resorbable membrane which promotes blood clotting. Autologous (meaning coming from you) PRF is considered to be a healing biomaterial, and presently is utilized in various disciplines of dentistry including extraction sites, bone healing, and bone regeneration. Cavitation is used to describe various forms of bone lesions that appear both as empty holes in the jawbones and holes filled with dead or infected bone. These bone holes may contain pathogenic bacteria and toxins that inhibit blood supply and bone healing. It is necessary to adequately clean the bone following a tooth extraction to prevent cavitation formation. However, once bone cavitation has been found, surgery is necessary to properly remove the dead and toxic bone. The key to bone healing and regeneration is the removal of the necrotic tissue and to promote new bone regeneration. NuCalm® is a non-chemical system that helps your brain relax and suspends the mind allowing your body to heal. NuCalm uses biochemistry, physics, and neurophysiology to rapidly and reliably relax brain and body functions during treatment. The more anxious or stressed you are, the more profound the NuCalm effect will be. Sedation dentistry or conscious sedation as it is often referred uses medication to help patients relax and take away their anxiety during surgical procedures. It is often referred to as “sleep dentistry” although that’s not entirely accurate. Patients are not always fully asleep as they would be under general anesthesia. It is very safe and has fewer side effects compared to general anesthesia. Sedation can be used for everything from invasive procedures to a simple tooth cleaning. Dr. Fotek is certified and licensed to perform moderate conscious sedation. Are you interested in holistic dental treatments in Palm Beach Gardens? For exceptional service and quality care, call our office to schedule your consultation today. Dr. Fotek and our team of skilled professionals are committed to helping you achieve a beautiful, healthy smile with gentle periodontal treatment, implant dentistry, and preventative care.